Meanwile, Kelsey is trying to get some closure in Thad's death, and has dinner with Thad’s twin brother Chad in order to try and get him to crack Thad's computer password. She's hoping to get some answers and form closure. But instead, Kelsey gets an unfortunate reveal that she accidentally had... uh, relations years ago with Chad, thinking he was That. This all comes after Chad's parents send him on a mission to get the family heirloom of an engagement room back from Kelsey. She leaves angrily, but not before getting the laptop. Except that Kelsey has no idea what the password to it is. Liza is now understandably paranoid that Kelsey will find out the real reason that she was there when Thad. At work, Charles — in a bit of a mood since Liza stood him up — tells the young woman that Empirical is facing some financial issues. 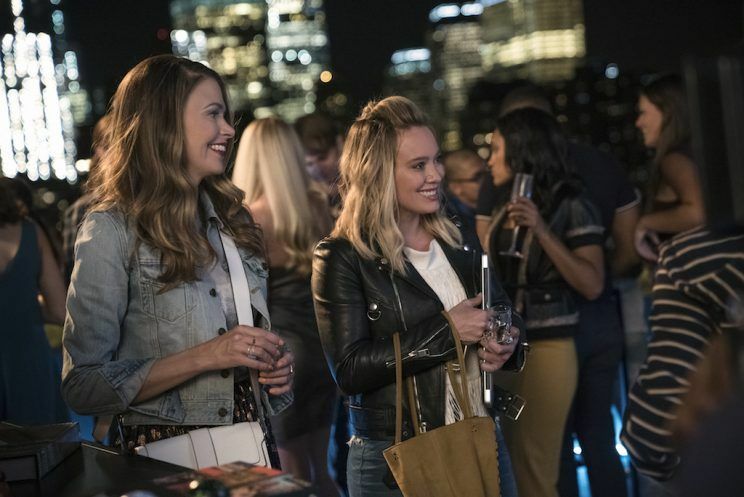 A tech guru is set to pull Empirical out of the financial situation that they are in, and Kelsey and Liza are tasked, as the millennials in the building, to help come to the rescue. Charles needs them to work their youth and get the investor to actually (literally and metaphorically) buy into their publishing house. When they meet Bryce — the tech guru coming to save them — he is young and on the spectrum, so he has no real filter (and says so to Diana's face). He isn’t what the team was expecting, but he takes a liking to Liza and Kelsey and their ideas. They have a great dinner about what the future of Empirical could be. 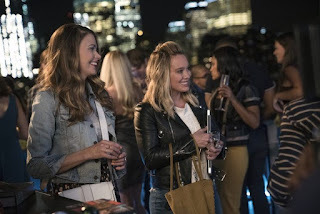 After ditching Diana and Charles at Bryce's invitation, the two women head to a rooftop party filled with other rich geniuses. At Bryce’s party, he gets one of the attendees to crack into Thad’s laptop for Kelsey. While she was so close to having her secret found out, Liza manages to escape once again as Kelsey decides that her chapter with Thad is done and — disgusted with who he was when he was alive — tosses the laptop into the pool at the party. After the late night party with Bryce, he decides to invest with Empirical and get the company back on the financial track that they need to be on. Charles is ecstatic at the work Kelsey and Liza had done. After an earlier conversation with Kelsey about how short life is, Liza makes a decision and shows up to Josh’s place, throwing marshmallows into his open window. She decides to get back together with him for now, it seems. But relationships aren't always that easy and I'm sure we will see more of that in the coming weeks! So what did you think of the episode? Share your thoughts below.